A man walks into a bar and spots a beautiful woman. Somewhat abashed, she stutters, and then says “Yes”. Apparently the cost of Stacy is down to $10. Might want to change that moniker to Stacy Ho! Former actress and Fox News contributor, Stacey Dash is drawing fire after theDaily Mail uncovered her 2004 bankruptcy documents that show she was financially supported by her former fiance to the tune of $6,000 a month, Perez Hiltonreports. I can see this woman’s case. I am not terribly sure what she said was racist, it was the truth for black kids from poor inner city neighborhoods who are part of the violent criminal element. Racism would have been applying her generalization across the whole black community, as conservatives and Faux News dos. A Pittsburgh newscaster fired after her comments in a Facebook post about a shooting were deemed racially insensitive sued her former employer Monday, saying the television station let her go because she is white. Wendy Bell said her federal lawsuit that WTAE fired her on March 30 “because of her race,” violating her civil rights. In a Facebook post, Bell commented on the March 9 shooting of five black peoplein the poor Pittsburgh suburb of Wilkinsburg. In the same post, she praised a black restaurant worker in a way some readers felt was condescending. While Bell’s comments sparked a backlash from some who saw her words as racist, they also drew defenders who found her post honest. Bell was fired nine days later after WTAE determined her remarks violated the company’s journalism and ethics standards. This could be fun. The Political whatnots and talking heads think this is a bad idea. I disagree. While Bernie is still in the race, I think he is in it more for the soul of the Democrat Party to win the nomination at this point. Polls have consistently shown that a significant portion of Trump’s support would shift to Sanders should Trump be out of the race. Then again…Bernie may score a knockout. The suggestion that Bernie Sanders and Donald Trump debate in California before the June 7 primaries would appear to be more than just a late-night joke. “We want this to happen,” Sanders spokesman Michael Briggs told POLITICO on Thursday, when asked if the campaign would reach out to its counterpart, hours after Trump said on “Jimmy Kimmel Live” he would be willing to debate the Democratic candidate if the proceeds from the event went to charity. Sounds like this driver’s next gig…Is unemployed. 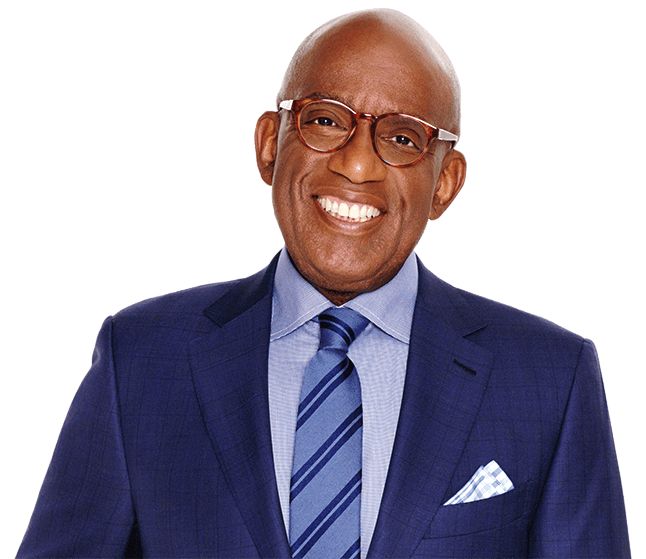 A New York City taxi driver who black NBC “Today” show weatherman Al Roker said passed him by in favor of picking up another fare for racial reasons has pleaded guilty to a service refusal violation and has been fined. The Taxi and Limousine Commission says driver Mahabur Rahman made his plea last month and was fined $500. Roker had filed a complaint in November and wrote on social media he and his son had been ignored for racial reasons. He said the driver picked up a white man a block away. The commission says it was the driver’s second refusal violation. The driver hung up a phone Monday when called for comment. The TLC says Roker was notified of the outcome. NBC hasn’t answered an email seeking comment. If you have a chance to travel to Europe, check out the local TV. The Ads, particularly on British TV are 10 cuts above most of what you will see in America. This is the new British Stansbury Christmas Ad which is making waves felt in the US already – If you are a cat owner, you probably will recognize a little of Mog in your own cat. Apparently, the concept of grabbing the audience with quality over quantity sailed over our advertiser’s heads. As advertisers on cable now chew up 20 minutes of an hour program – maybe these clowns could learn something about why folks are increasingly buying ad blockers and watch commercial free on the Internet. Familiarity, in terms of ceaselessly being bombarded with the same poorly constructed information indeed breeds contempt. Hey! Want to be on National TV? Easiest photobomb in the world is for a black person to show up at a Republican candidate’s speech. They put every one of the half dozen or so which show up at the major rallys in seats behind the candidate to be “visible” as supporters. This woman objected to being used as a black prop. An Illinois woman became an Internet celebrity after she read a book during a campaign speech by Donald Trump. Johari Osayi Idusuyi, a student at Lincoln Land Community College in Springfield, said she brought a copy of “Citizen,” an award-winning book on everyday racism by Claudia Rankine, to a rally near her home, reported WICS-TV. “I’m genuinely not interested in him as a person, but if you have the chance to see a presidential candidate, why not?” Idusuyi said. She and some friends ended up with a spot directly behind the Republican candidate after seeing an open seat and being invited into the VIP section by a campaign staffer. Idusuyi insisted she went into the rally with an open mind, but she took out her book and began reading after Trump demanded the removal of some protesters, and she said supporters cheered after a supporter removed a woman’s Obama hat and tossed it into the crowd. She decided to take out her book and read it conspicuously, realizing she was on camera behind Trump. Idusuyi gained online notoriety after video showed a white man sitting near her tapping her on the shoulder and angrily telling her to put away her book. She can be seen telling the man to leave her alone, and she puts the book back in front of her face and resumes reading. She said the woman wouldn’t let it go. She said the couple seemed like nice enough people, but she didn’t appreciate the way they treated her. She said Trump had not won her vote. Apparently Stephanie Mills will be playing “Auntie Em” in the 2015 version on NBC. Toto Is the Only White Cast Member in the First Promo for The Wiz Live! In what is becoming a yearly tradition, NBC is resurrecting a classic Broadway musical for a star-studded live performance, and this time, it’s The Wiz, the 1975 Tony Award-winner adapted from L. Frank Baum’s novel The Wonderful Wizard of Oz and featuring an all-black cast. (Today, it’s probably most remembered for Sidney Lumet’s movie adaptation, starring Diana Ross as Dorothy and a pre-Off the Wall Michael Jackson as the Scarecrow.) The first promo is here, and while it doesn’t tell us much, it immediately calls to mind the bright, effervescent Oz of the 1939 Judy Garland filmrather than the grittier, ’70s-era New York City seen in the 1978 movie. Also, the part of Toto will apparently be played by an adorable white-haired terrier rather than a black one, making Toto the only white member of the cast. Could it be that this time around, NBC’s live musical could actually serve as good live theater, rather than something to hate-watch and snark about on Twitter? We shall see—the failed movie adaptation aside, The Wiz is inarguably a stronger, better show than the incredibly dated Peter Pan, and while we initially had other folks in mind, the cast (which also includes newcomer Shanice Williams as Dorothy, David Alan Grier as the Cowardly Lion, Ne-Yo as the Tin Man, and Elijah Kelley as the Scarecrow, plus Queen Latifah, Uzo Aduba, and The Wiz’s original Dorothy, Stephanie Mills) looks pretty great. The live show airs on Dec. 3.